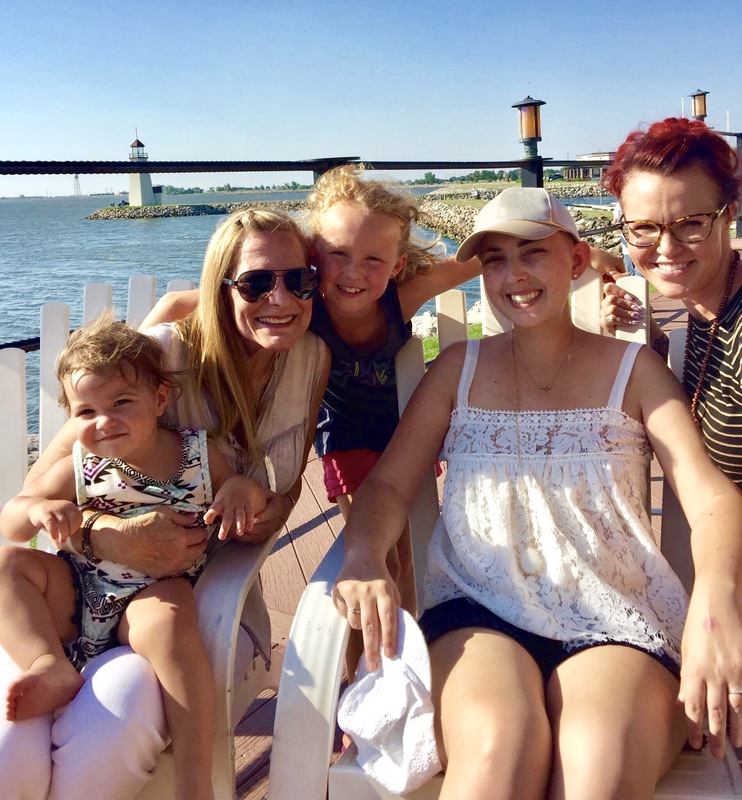 “Long time no blogging Jeni…” Yes I know, sometimes I just feel repetitive and redundant; I hate cancer, this is why, I love all of you reading this, this inspired me and I wanted to share, oh and I love Jesus! <– Have you all heard those things from me a time or two? Well recently I have just been absolutely exhausted. It is actually a good sign when I don’t write too often because that means I am falling asleep better and staying asleep through the night, something I struggled with for months and months and those sleepless nights are when I would do most writings because I was in my head so much, worried about all the details of my life that I am not in control of. Anyways, I have been doing well, able to do most things and enjoy my friends and family in between my chemo treatments. Never would I have guessed that my check up CT scans of chest,abdomen, & pelvic region last Monday 6/19/17 would come back with bad news. But sure enough, the chemotherapy combination (liquid infusions I sat through once every 3 weeks) of Carboplatin and Alimta wasn’t honest to me at the start of my 18 week course when it promised to do it’s chemo business, ridding away cancer cells inside my body. I was sick-to-my-stomach-shocked to read that there are multiple cancerous spots on my liver and lung that have progressed. (Side note: I have a Patient Portal where all of my scan and lab reports are posted and my scan reports are generally posted AFTER I meet with the doctor so he’s generally who breaks the news to me in person but this time the reports were posted BEFORE my follow up appointment allowing me to read the report myself.) Because I was at my mom and dad’s house during this time I crawled in my mom’s bed and let the tears slowly well up. From under the covers I text my mom saying the results were posted and she didn’t believe me because it was only a few hours after we got home from the scans and she knows like I do that we generally don’t get to see them until we meet with the doctor in person. But sure enough she signed in to my portal and read what I read. Her and my dad came in the bedroom and laid on either side of me. Tenderheartedly, they soothed me as any good parent would do when their child is crying, scared and confused. I’m not ashamed one bit that I lean in to my mom and dad when my husband Adam is at work. They’re just as IN THIS as I am and I thank God daily for the availability He has created amongst my family so I am never alone in these moments. For the prayer warriors who like specifics, here’s what we are praying over… these cancer spots have NO room in this body, we cry out to our one and only Healer and declare complete Healing regardless of treatments for it is You we look to God!! Are you wondering where we go from here? Me too. And we are *kind of* in a limbo because what my team of doctors decided on is to begin Immunotherapy as the next choice of treatment. There are a couple different kinds of Immunotherapy suited for my kind of cancer and the one I am being put on is called OPDIVO, which is a fairly new drug designed to recognize the anti agents of cancer cells and kill them. About OPDIVO: The results presented at the American Association for Cancer Research this year in Chicago were based on five years of follow-up with non-small cell lung cancer (NSCLC). Overall survival at one year was 42 percent; at 2 years was 24 percent, at 3 years was 18 percent, and at five years was 16 percent. Having stated these statistics, my oncologist has assured me there are other treatments available if OPDIVO fails at some point. While I begin this line of treatment, my oncology team and my highly devoted mother are researching clinical trials in other cancer centers that I might qualify for. This may mean we travel to other states. We’ve also reached out to other experts in the field for second opinions (which my oncologist certainly encouraged). This process could take weeks or even months, but I’m hopeful a clinical trial will find me and I will enjoy many more years with my family and friends and fulfill the calling God has designed for me here on earth. In April, I had a Foundation ACT blood panel test to assess any known oncogenic genes. The results still demonstrated the EGFR mutation, exon 19 deletion but included a new mutation called NF1. This is information we needed to assist us in finding a new clinical trial. I’ll hold the details about the search for clinical trials and share later when we have a plan in place. For now, we move forward with my single agent Immunotherapy (beginning tomorrow). Am I feeling worn out, exhausted, and confused? Of course I am but I am reminded of the biblical story of Joshua and his army marching around the city of Jericho step after step to complete a mission that felt impossible. That’s how I feel. I’m marching because I know God wants me to fight and march my way through this evil cancer. This mission feels impossible when I hear we are going backwards with new cancer spots and I cry tears of intimidation. But I am not in this alone. I know that I am living in the New Testament and the cross has won and I walk in the strength of Jesus and “impossible situations” are not intimidating to my God! So, swords up prayer warriors! We have some work to do.